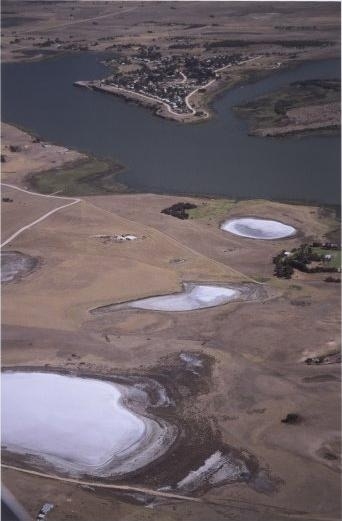 Soil salinisation (or salinization) is a problem all around Australia resulting from the clearing of native vegetation to make way for agriculture. Excess water leaches down into the saline layers of soil, flushing salts to the surface. The barrages, by raising the water level by 0.75m, have worsened the problem by accelerating the leaching process and flushing more salts to the surface.